Christmas Miracle! Cinema Village Saves Christmas! 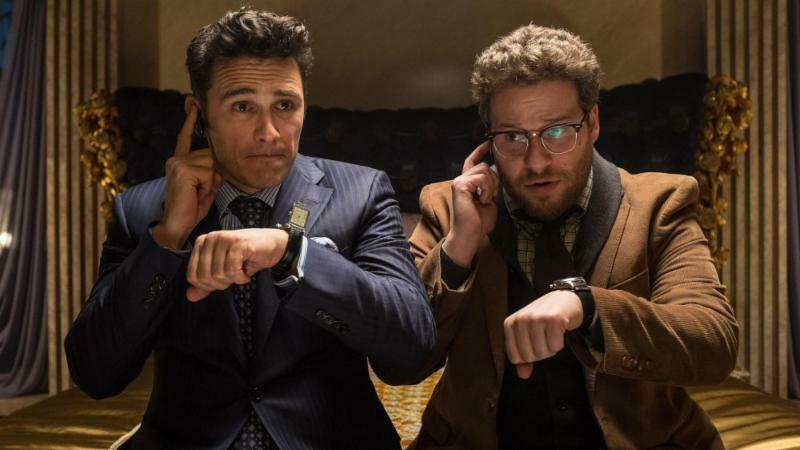 December 24, 2015, New York, NY – – New York City’s Cinema Village announced today that it will open the most discussed movie of the year, THE INTERVIEW, directed by Seth Rogen and Evan Goldberg, on Thursday, December 25th as Manhattan’s exclusive venue. The independently run theater and cinematic first-responder, located at 22 East 12th Street (between 5th Avenue and University), joins 200 theaters across the nation to show the film after the major chains continued to refuse to show it. The film will be shown daily at 10:00 a.m., 12:30 p.m., 3:05 p.m., 5:30 p.m., 8:00 p.m., 10:30 p.m. and 1:00 a.m. Tickets are available now throughhttp://www.cinemavillage.com. Davd Skylark (James Franco) and his producer Aaron Rapaport (Seth Rogen) are the team behind the popular tabloid-TV show “Skylark Tonight”. After learning that North Korea’s Kim Jong Un (Randall Park) is a huge fan of the show, they successfully set up an interview with him, hoping to legitimize themselves as actual journalists. However, as Dave and Aaron prepare for their journey to Pyongyang, the CIA steps in, recruits them, and assigns them an incredible mission: Assassinate the dictator. Built in 1963 in the shell of a turn-of-the-century fire station, the independent Cinema Village is the oldest continuously-operated cinema in Greenwich Village, and one of the oldest continuously-operated art cinemas in the city. And they’re not going to let some crummy as-of-yet unspecified terrorists push them around. Not on Christmas.